Weekly Update 2018-05: Discovering HBO's amazing show High Maintenance and its even more amazing music by Chris Bear, using colour inversion as an accessible design tool and Canadian artist Shary Boyle's new work at Sunshine Eaters. After bingeing the first season of HBO's High Maintenance over the past week, there are so many things about it that I could gush over. Perhaps the best of them all is the music, originally composed and/or lovingly selected by Chris Bear. His selections of vintage and new tunes mixed with his original scores for all six episodes of the season create an alluring soundscape that I haven't yet been able to shake off. And did I mention Bear also happens to be the drummer in indie baroque pop band Grizzly Bear? What can this musician not do? Check out the playlist for season one below. Favourite tracks include LA Priest's Oino (featured in last week's update), Finnish musician Jaakko Eino Kalevi's Hush Down and Bear's own Gatsby Intro (music originally set to follow the main character of the episode - a dog). I highly recommend giving the show a watch, if not for the amazing stories then of course for its sparkling soundtrack. I don't know why I have been feeling the urge of spring cleaning, especially since we're about to have another helping of bitterly cold winter in Toronto. No matter the motivation, I have begun the process of cleaning out my drawers and rearranging some stuff in my apartment. I have a new dresser, but I promised myself that I would only use it for good (to catalyze the process of getting rid of some of the items from my other bursting drawers and to give breathing room to my more beloved objects). I have been using a personalized version of Marie Kondo's method for decluttering, which involves holding an object in my hands and deciding how much love/happiness it inspires in my heart. The issue is that many objects fall into the middle of the scale, but then I move them into the Bunz pile. I post them to Bunz right away, and if I am lucky enough to receive a trade offer, I decide in that moment about whether I really want to keep the item. I have only ever reneged on a trade offer once, when I realized I still wanted to keep a pair of pants that I have owned for over ten years now. Good method; still lots more to go, though. I honestly don't know how I ended up with so many USB sticks, especially useless ones that only have 1GB capacity. The jury is still out on whether this is a prime example of planned obsolescence, but I know I definitely don't need these USB sticks anymore. The process of moving the files onto my hard drive in organized folders made me feel sooooo good. I hope someone on Bunz can find use for them! My biggest accomplishment of the week is a shared one: this was the weekend of my father's first big estate sale of the year. He has been working tirelessly for the last few months on organizing the home of this client's late father, before a relative's family will move into the house and breathe new life into it. We made a family affair of it, with everyone taking a different role in helping to make the sale run smoothly. I bought one of the man's plants - he had a lot of greenery in his home - which has not been doing so well in my apartment. I've been moving it around to see what sort of light it prefers, and after losing about 50% of its leaves, it's finally started to sprout some new growth. I can't believe how it grows - with all nine leaves sprouting from a stem at once. Look at the wee baby - the diameter of leaves is about the size of my thumb. This new growth makes me wonder if perhaps the man's spirit had to take some time to find where I moved his plant to, before he could ensure it continued to grow. It's getting happier by the window each day. I'm going to make a concerted effort to clean through my portable hard drive this week, as it's become quite unruly. Once I do that, I can back everything up to my other hard drive and sleep a little easier knowing everything is properly archived. Not that my files are very important, but I have been enjoying looking through old favourite photos on my phone once in a while. Also, now that I have some recent skating experience under my belt, I feel confident enough to try again. As long as the weather holds up, I'll be checking out the Bentway on Friday and Richmond Hill's winter claim to fame, the Winter Carnival at Mill Pond on Sunday. Considering I grew up in Richmond Hill but have no memories of actually attending the annual carnival, I decided it's time to right that wrong. If you've ever dabbled with photo editing software, you are probably familiar with the process of inverting an image. Originally done using darkroom processes, inverting produces the opposite colour in the spectrum for a photo. I personally enjoy working with inversion because it produces a sort of "evil twin" version of a photo. Same same, but different, and without a ton of design work. 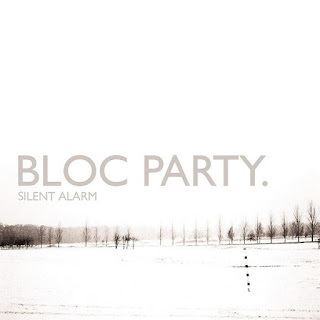 Bloc Party's Silent Alarm, released early 2005. The exact same thing, just inverted (and I guess one of the remixes contains a swear)! 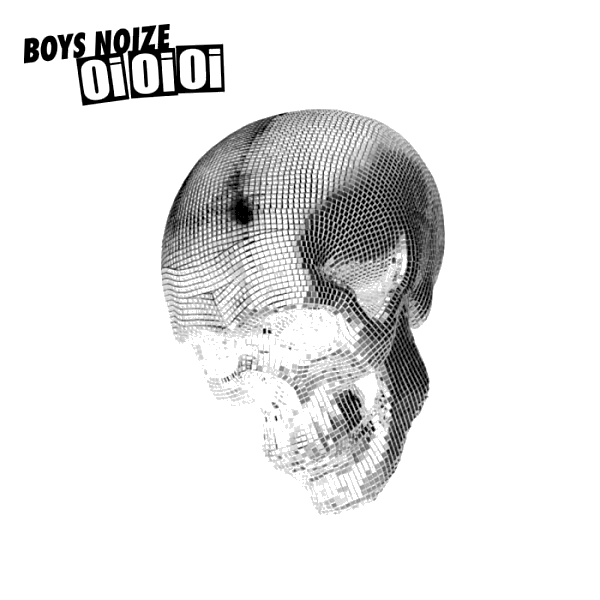 The original Oi Oi Oi (2007). Especially when used on monochrome imagery, inversion feels like a small design change with a lot of impact that still pays homage to the original design. Colour inversion has more purpose than simply design, though. 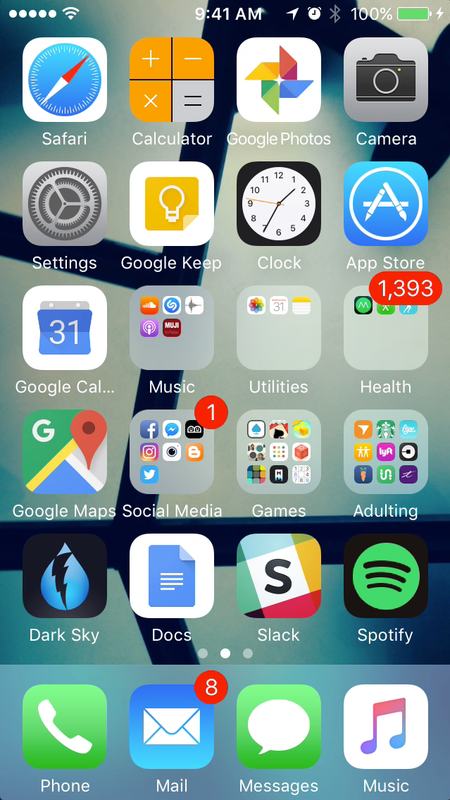 If you've ever checked out the accessibility features of an iPhone, you'll see that there is an option to invert the entire screen. No, this isn't to allow some users to feel "edgy" like they have a customized view of their iOS, it's actually used to help solve a variety of usability issues. Some people find it easier to read white text on a black background, especially when it comes to backlit screens, and others use this setting for "night mode" - you'll notice that Apple automatically turns off their feature Night Shift when Invert Colors is set to active. According to this forum, there is another notion at work here beyond contrast ratios - display polarity. A positive polar display consists of dark letters on a light background, a negative polar display consists of light letters on a dark background. Polarity by itself is independent of text-to-background contrast. At the level of the display, a change of polarity has no effect on the text-to-background contrast. If the reader's eyes are cloudy, however, the contrasts at the retinal level is decreased for positive compared to negative polarity. This is why offering negative polarity is considered an accessibility feature. 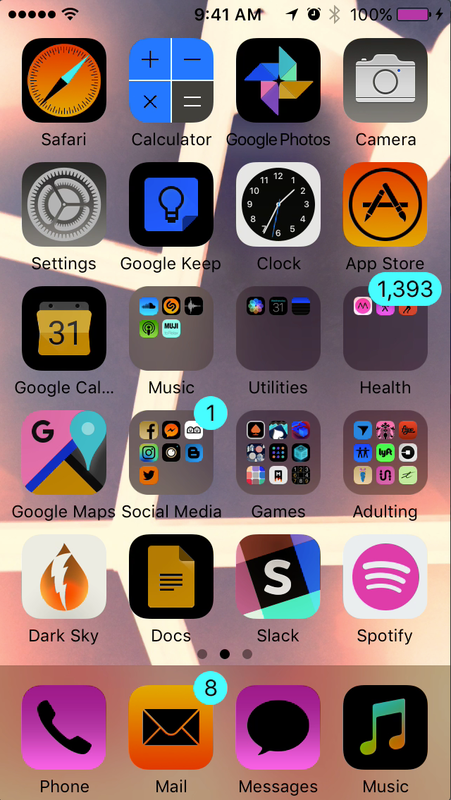 Left: my normal home screen. Right: the inverted version. I don't hate it. Disclaimer: the 1,393 notification badge is a step counter - I'm not a monster. I am thinking of trying this out on my device for a few days and seeing if it makes any difference to my experience. The Sunshine Eaters exhibition highlights how contemporary artists and designers look to the land, plants, flowers and trees as a means to imagine and conjure hope in the face of crises. In conjunction with the gallery - which I still have yet to visit! - there is a captivating series of artist talks. 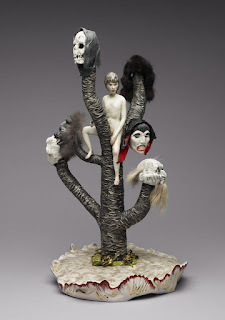 I had the true joy of seeing Shary Boyle speak about her recent work of the past few years, much of it in conjunction with Aboriginal Canadian artists she has met in her travels. She has been making strides away from the traditional "West European" approach to art history and education, and it really shows in the way her work has made leaps and bounds since I last saw it at her Flesh and Blood show at the AGO in 2010. Boyle spoke for an hour about working in Cape Dorset with the talented Inuit artist Shuvinai Ashoona, and of her collaboration with other Inuit sculptors in Medalta - the historic pottery district in Medicine Hat, Alberta. Boyle's work "Home Haunter", 2015. She also talked about her natural affinity for clay, seeing it as a natural medium that she could shape and interact with more than any man-made substance. She likened clay to skin more than once, which one can see in her works. I have yet to visit the gallery, but after hearing her speak about the work, I'm sure this isn't the last time I'll talk about her on my blog. 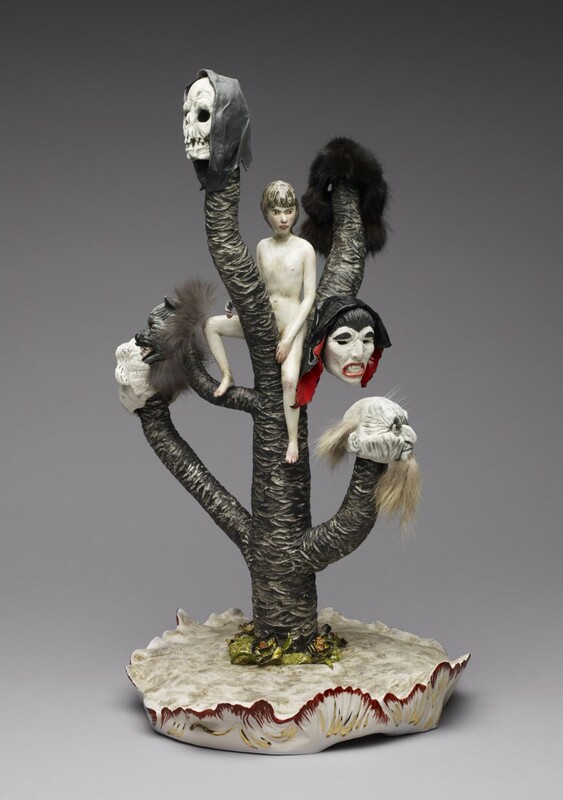 Meanwhile, check out Shary Boyle's work and the Sunshine Eaters website for more info on upcoming events. Weekly Update 2018-04: Strange and wonderful tunes from Late of the Pier's LA Priest, what we can learn from nature's design systems and the loud, bright fashions of Tsumori Chisato. I originally found LA Priest in my SoundCloud days of 2016/2017, but the project has made a resurgence after being featured in an episode of HBO's High Maintenance. As a solo project of Late of the Pier's lead singer Samuel Eastgate, LA Priest's solitary LP Inji packs quite a punch. It's a little disco, a little love song, and a little bit of something I can't really name. Mixing strange recordings into musical sounds that blend with hypnotic lyrics, Eastgate makes music that is unique and extremely ear-catching. Don't say I didn't warn you. Favourite songs include Oino, Lorry Park and Learning to Love. After what was probably a ten-year hiatus from skating, I somehow convinced myself (and three friends) to check out a free concert by Bahamas at the Harbourfront ice rink this weekend. The draw of good music lured me into a false sense that my skating lessons from fifteen years ago would come back to me, which they didn't. But thanks to the friend-based support, I managed to pick up my confidence and speed to become someone who actually might...enjoy skating?! I'm as surprised as you. I still haven't made it to the Bentway to skate yet, but that's definitely next up in my skating aspirations. It's also officially been three months since I started my new job, which means I have the glorious super power of employer-provided benefits. In celebration, I booked an eye appointment at a new optometrist down the street from my work. We've been grooming a lot of user stories for a project at work which means being able to read small text on a screen at the other end of a boardroom, so I'm definitely overdue to have my prescription changed. As promised last week, I attended no less than five events as part of the Toronto Design Offsite Festival, each of which was better than the previous. It was definitely worthwhile to organize my schedule ahead of time, as I don't think I absorbed nearly as much culture in years previous. Highlights included the yearly stroll down Queen to see all the window displays (in the blustering snow, no less) and a studio tour of Geary Avenue that ended with a very cool chat with the architects of Partisans - a groundbreaking architectural firm making global waves. Of course, the week would not be complete without a full rundown on my blog, so look out for a TODO post this week sometime. In addition, I acquired a small dresser that I hope will continue my plight in life organization. The challenge is to figure out how to use it. I found the idea of the food chain as nature's upcycling particularly inspiring. Designers truly have so much to learn from nature. Biomimicry tends to feel like good design because it's based on a system that is already attuned to human need (and of course the needs of the entire ecosystem beyond just needy humans). I like to think that the solutions to the world's wicked problems can be found in patterns and systems of nature. Whether it's basing the shape of a train car off that of the beak of a kingfisher or developing paint that, when dry on a wall, contains the same self-cleaning properties as lotus leaves, there's so much that nature has to offer us. A native of Saitama, Japan, Tsumori Chisato found her fashion niche in pattern and whimsy after working for the legendary Issey Miyake. 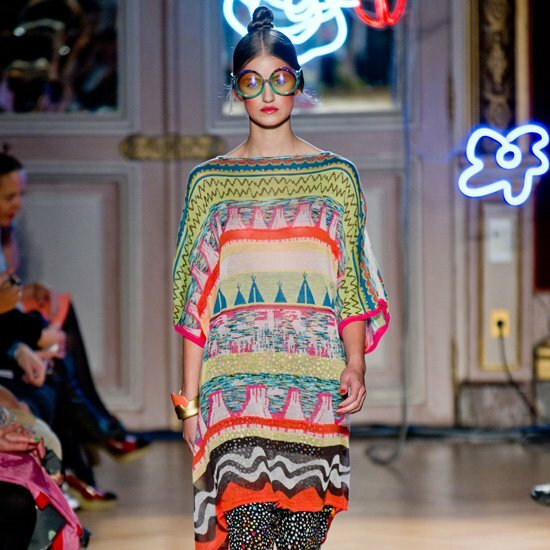 Her aesthetic focuses on prints and has a "healthy dose of manga/bohemian cuteness". I love the bright colours and power clashing patterns of her work. The way I came across Chisato is almost as interesting a story as her designs themselves: I was sitting on the subway, and noticed a woman for her brightly coloured clothing. This drew me to see that she was reading Snow Crash by Neal Stephenson, which I remember as being quite an intense and magnetic book. I resolved not to bother the woman to ask about her truly gorgeous and unique coat, so as not to ruin her read, but after about two stops of staring at the coat, I cracked. She told me that the original designer was, of course, our dear Chisato (she had to say it three times slowly for me to get it right), but also intimated to me that she purchased this counterfeit version of the coat on Japanese eBay. Fashion for the masses! 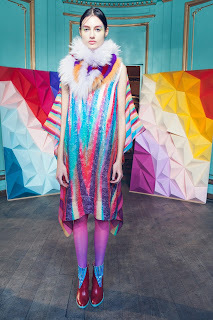 Check out Tsumori Chisato's website. 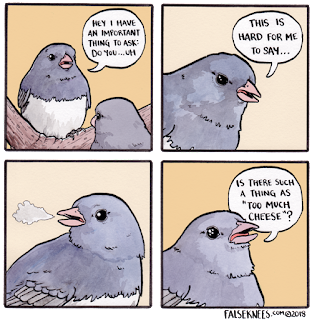 Weekly Update 2018-03: All about authenticity - teenage passion in the music of Snail Mail, seeing the true essence of a present wrapped in clear wrapping paper, and the amazing webcomics of Joshua Barkman's False Knees. I'm nearing an age where I often come across wonderfully talented people who are doing amazing things, only to find that they are younger than me and have already achieved so much more. Lately, that thought doesn't make me sad; it only inspires me to trust in the agency of the generation after mine. Lindsey Jordan is doing just that as an 18-year-old lead guitarist and songwriter for the newest alt rock band out of Maryland called Snail Mail. Their songs are heartbreakingly authentic, as a direct result of the raw emotion that only teenage years can bring. I love it. My favourites are Thinning and the title track Habit. I managed to catch up with lots of friends last week, including at my roommate's two birthday parties this weekend. We had some crappy weather but it didn't keep me from trudging through the snow with two HUGE number balloons for extra celebrations. I really never thought this is what 25 would look like. I also ignored terrible weather earlier this evening to check out no fewer than thirteen window installations as part of the Toronto Design Offsite Festival. More on that later. Analog Shift is an interactive display that serves as a promotional tool for Fin, a Seattle based design brand, as well as commentary on virtual reality. Images of Fin’s actual showroom are viewed through a View-Master highlighting that physical objects are needed to create a virtual environment. Through the lens of hand weaving you are invited to take a closer look into the process of making cloth. Where each thread is calculated to bend over and under one another, creating the structural bonds that form our fabrics. Observing that within these bends of interwoven lines, lays the potential for delicate pattern work. The Museum of Contemporary Work is a precarious pop-up exhibit. The show explores the past, present and future of labour through physical objects that support our work. The artifacts displayed, both real and fictional, connect themes like identity, inequity, meaning, and motivation. Some of the items have all but disappeared. Others are re-emerging as souvenirs. Some are tools. Others inspirational tokens. Each is a symbol of the invisible forces at work in our work. They tell stories of how our daily labours are changing, and how they are changing us. And that's just one day! There's lots more happening throughout the week, I hope to see much more and report back. I was riding the streetcar to work the other day and noticed a peculiar package held in the arms of one of my fellow riders. In case you can't tell, it's a box of chocolates wrapped in clear wrapping paper with green trees on it. I beg an obvious question: What's the point of clear wrapping paper? Is wrapping paper not supposed to obfuscate the item you are giving someone, so that they may guess/feel the element of surprise before they open it? I really don't think I can make my point any clearer, so I'll leave the rest of the musing up to you, dear reader. Sometimes life's small moments are the ones that shape us and make us feel most alive. I know this is true and yet I can never remember the little things that happen to me throughout the day. 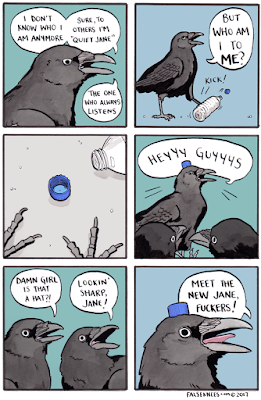 As it turns out, I don't need to remember any of it because a wonderful webcomic called False Knees is doing it for me. I often wonder this aloud. There's just something wonderful about seeing the hard-hitting topics of life being represented through woodland creatures (mostly birds) in beautiful watercolours. 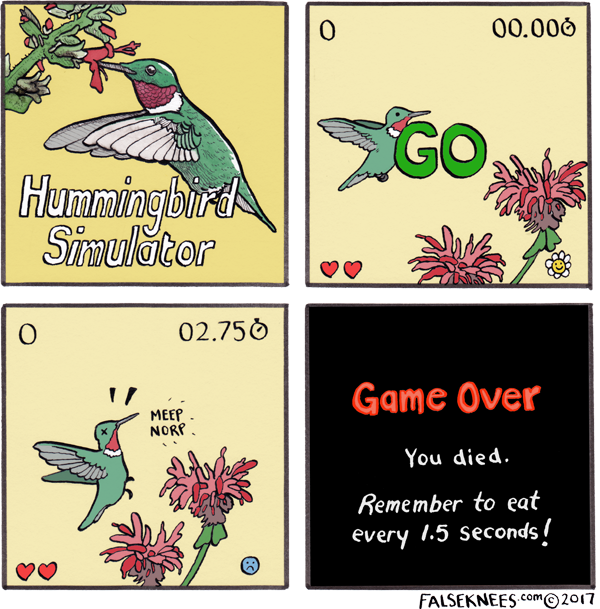 The content is so real that I think it would be taken too seriously if it were coming out of humans' mouths, but the tone set by the lovely illustrations of wildlife creates a perfect balance. I can really relate to this one. These wonderful comics and more are created by Joshua Barkman, and I urge you to check out his awesome website for more. Weekly Update 2018-02: The internet's first boyband Brockhampton creates the soundtrack to our exploration through onomatopoeias as a brand tool, and being tricked by Instagram ads for fake shoes. Labeled as “the internet's first boyband”, Brockhampton has been making big waves this past year. Created from a post in an online Kanye West fan forum, the seven members of the band come together to create music that is extremely catchy but also a magnetic mix of lyrics and production. Their music feels really authentic, especially considering their self-brand as a boyband. Not to mention, the fact that someone (the lead Kevin Abstract) could post in an online forum and create a successful band is pretty interesting in and of itself. 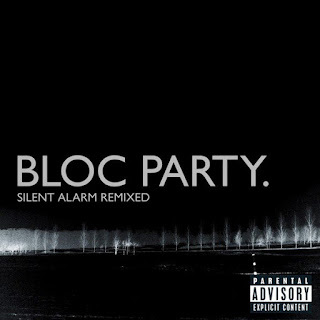 Favourite tracks include Bleach (also the fave of three band members), Boogie and Liquid. So many Sketch tutorials! It's actually gotten to the point where I had to open up Adobe Illustrator for something and felt a real pang of frustration because I just wanted to work in Sketch. It took less than a week to change my opinion about design tools by this much. Muchos gracias again to Pablo Stanley for his wonderful videos. Maybe I'll check out his non-Sketch tutorials. Seriously, he could teach me anything. I also bought a Metropass last week. Honestly, admitting to myself that I needed it for January (and probably February) was really hard. I rely on my bike not only economically, socially and physically, but emotionally and mentally above all else. Accepting that I am not going to have the chance to use it for probably two more months is frustrating to say the least. In any case I haven't had a Metropass in about ten months so the feelings of having a superpower are coming back to me. And January 2018's version has ~sparkles~. You can't really tell but the A in the circle on the top left is sparkly and two-tone brown/pink! It works quite well. This is a week of making the “friendship rounds” – catching up with someone pretty much every day of the week, including a design chat with Marjorie before drumming starts up again on Wednesday. And at the end of the week, Alison comes back to Toronto to visit! So I'm keeping it light. You may be familiar with the term ‘onomatopoeia’, meaning the formation of a word from a sound associated with what is named (e.g. cuckoo, sizzle). 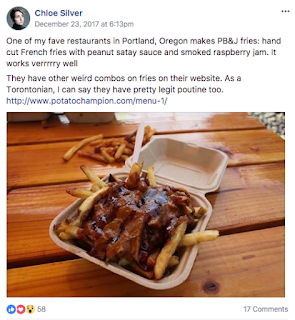 I have been noticing the use of onomatopoeia as a tool for creating a strong brand lately, and wondered if there was a pattern to its use that could be repeated. Take Tic Tacs for example. They're basically a household brand by now, and I believe it has to do with the sound they make inside their little clear box. The more Tic Tacs you eat, the more empty space there is in the box, which makes the sound of them hitting against each other louder as you empty the box. And of course, Tic Tacs are named for this sound. 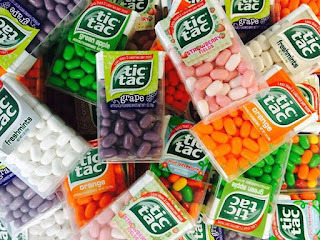 You hear the tic-tac sound, you remember that your box of mints is almost finished, and then you buy more! Simple. 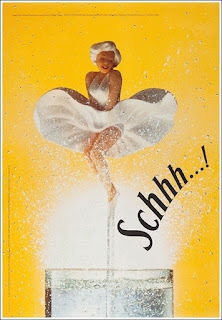 Tic Tac isn't the only example of onomatopoeia as brand, Schweppes has also been using this tactic. Their line of ginger ales and sparkling waters invoke a feeling of carbonation and lightness, and the name itself reflects this same feeling. Schweppes likes a good portmanteau as well. 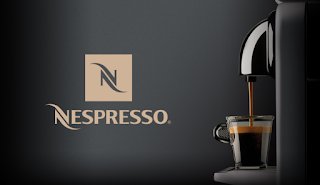 Finally, the brand Nespresso is probably one of the more clever ones I have seen. If you want to ask for a regular espresso, what do you say? “May I please have an espresso?” Say that out loud. It sounds the exact same as asking, “May I please have a nespresso?” Of course the brand is not as established as something like Tic Tac, so people may not think about Nespresso when they think about espresso, but the trick is pretty ingenious anyway. Original image from a tweet by Blake Robbins. 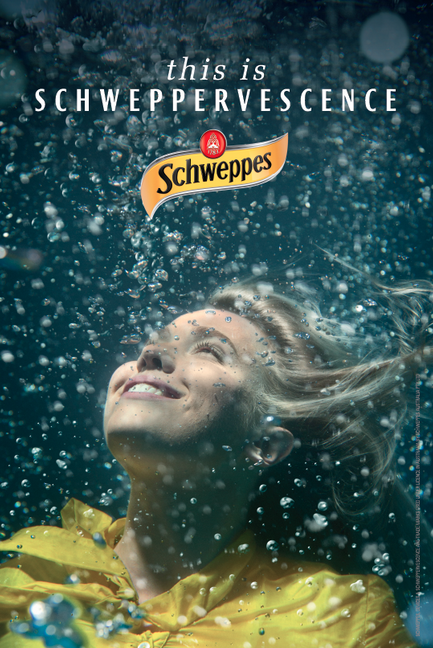 Don't keep trying to get that hair off your screen; it's part of the ad! 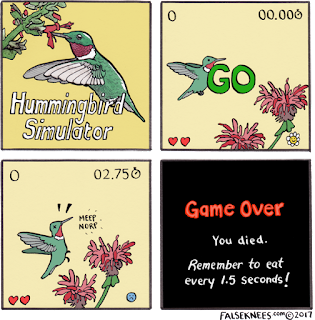 Depending on what device you're using to view this blog post, it may have a varying effect. 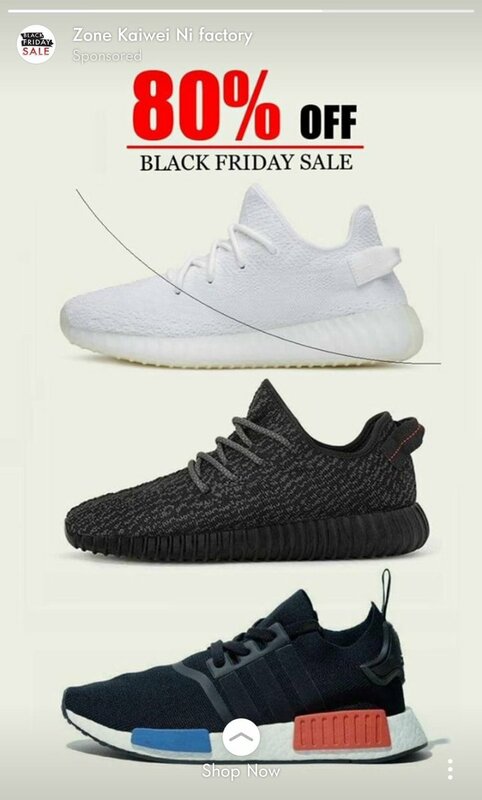 The original Instagram ad, posted by Chinese shoe company Kaiwei Ni, includes the hair in the hopes that users will swipe to remove the hair from their screen (but will then be taken to the website as a result of the interaction). Weekly Update 2018-01: The number eighteen is a lucky one in Judaism, and so this year shall be for me. Listening to Beach Fossils, gathering public opinion on transit systems around the world, and the impact of the humanizing story of refugees in Ai Weiwei's Human Flow. Some albums are so important, but take a long time to break through to me on a deeper level. Beach Fossils' 2013 LP Clash the Truth is one of those albums. 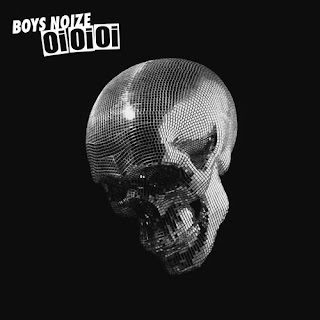 Synths and guitar licks reminiscent of 80s new wave mix with a dash of atmospheric lo-fi to create something that sounds really authentic, both modern and vintage at the same time. I also made a multi-day schedule for the Toronto Design Offsite Festival coming up in a couple of weeks. I love all the window displays along Queen Street, and Gladstone Hotel's annual Come Up To My Room festival which happens in conjunction with TODO. I am especially excited for a bunch of new things opening up on Geary Avenue which I bike by to get to drumming practice. 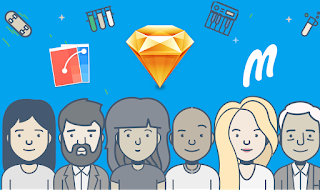 I have spent the past two days knee-deep in Sketch tutorials since I can't deny that it's the industry standard now. I had a good working knowledge of the program, but there are so many ways to improve your workflow (especially with all the open-source plugins that people make to solve common problems). There's no better way to become a power user than by starting with Pablo Stanley's Sketch Together series, which I highly recommend. Not only is he a fabulous teacher, he is very entertaining and includes lots of project files you can download to follow along. And it's all free! I also did something I have been meaning to do for a long time: I bought a goat. No, not for me. I believe in the importance of charity but moreso in donating my time/services/items than money, since you never really know where it's going to go. For that reason, I have always been a big fan of Plan International and their charitable programs that provide livestock for families. The addition of a goat or a few chickens will help a family to nourish themselves and thrive in a much more permanent way than the same value in donated goods. So yes, I bought a goat as well as a rooster and three hens, in the hopes that two families will be able to thrive off this gift. Now if only I had space in my apartment for some chickens. If you want to look into it, check out Plan International Canada. I've learned a ton of Sketch stuff this week, so I'd like to write a blog post about everything to really solidify my learnings (and share them with you, dear reader)! Other than that, my broader goals for this year are to remember to sit up straight and have good posture while working at my desk, and practice reading other people's emotions a little better than I do now. I don't know if the colon means there are other awful recipe groups, but this one never fails to amaze me. 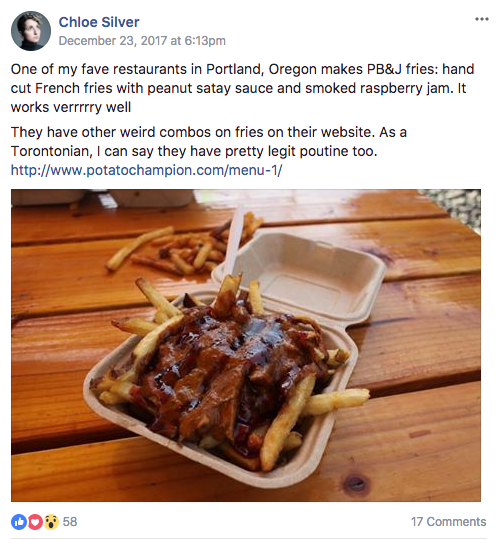 People mostly post about disgusting food they inexplicably like, or delicious food they inexplicably dislike (let the anger comments ensue), so I thought I would post about one of the weird foods from Portland that I love. Mostly well-received with a few haters. Similar to Young Urbanists League but on a global scale, this group has no shortage of love for trains, urban transit systems and all things that make people move. 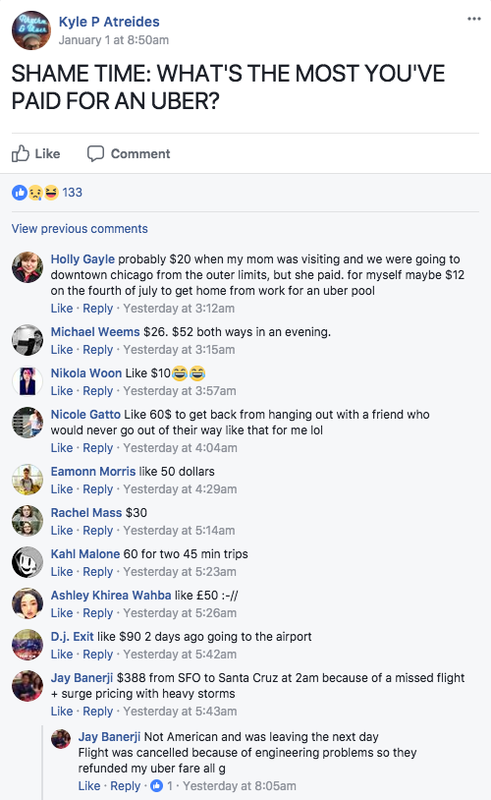 All the shameful times people have taken Ubers. This was a particularly inspired post for the first day of 2018. 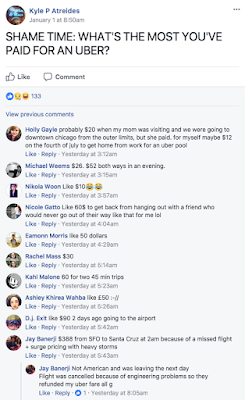 I honestly love to read the unfiltered opinions (of largely varying quality) of all the topics surrounding transit systems all over the world, and find it interesting to note that many citizens of other cities hold their transit systems in the same low regard as Torontonians do the TTC. I saw a very inspirational film at Hot Docs a couple of weeks ago: Ai Weiwei's new film about the influx of refugees over the past few years. So many people have been displaced from their homes this decade by various factors including war, famine, politics, drought and natural disasters just to name a few. Ai Weiwei discusses Human Flow. These people's misfortunes are usually a matter of circumstance, which is to say that their misfortunes could have happened to anyone, including you or me. These people come from all over, but are largely universally overlooked by the rest of the world. They are sometimes grossly mistreated, forgotten or simply ignored. The way the film displays their plights, many of them just want basic human understanding and respect. It really tore at my heart strings to think about these people and the way they are largely helpless. They have been given no resources or help to begin their lives anew, but they are very strong and somehow continue on, hoping that they will be able to find a home someday. I urge you to see this movie; it will change your perspective on global aid. There is a particularly touching scene in which Ai Weiwei symbolically exchanges his passport with that of a refugee in a camp, exclaiming that he respects the man's passport, and he respects him. After seeing all the wonderful designs and innovations at the Exposition for Design, Innovation & Technology and this movie as well, I am proud to know that Toronto does its part to help these people, but I know we could be doing more. After all, respect and compassion both cost literally nothing and go such a long way.